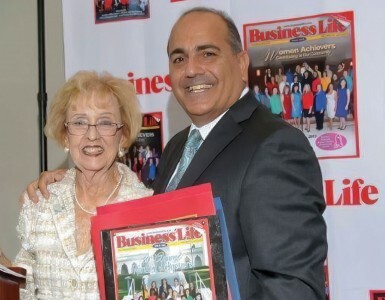 Lynn Brown White-Shelby ’56, Delta Gamma, received the Business Life magazine “Lifetime Women’s Achievers” award, honoring her more than 50 years of business contribution and community involvement. The magazine covers businesses in Pasadena, Glendale, and Burbank, Calif. Since their 50th OWU reunion, Walt Dickes ’64 retired after 42 years of orthodontic practice in Ellsworth, Maine. 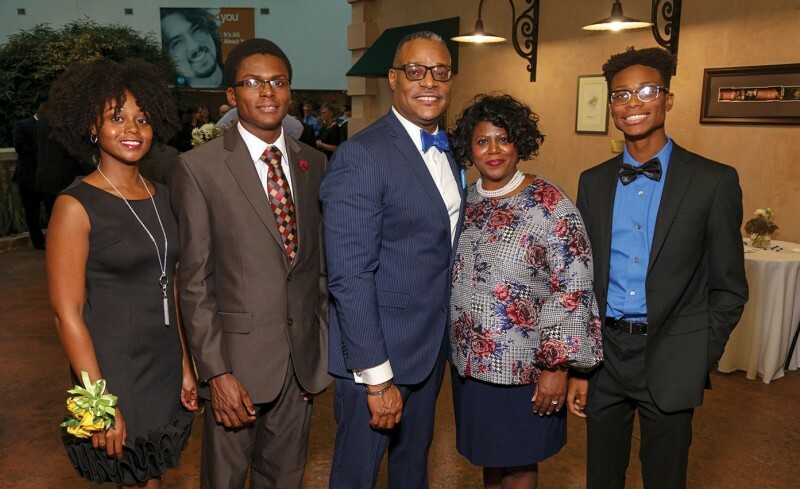 Karen McDade Dickes ’64 remains active musically and serves on the board of several local nonprofit organizations. 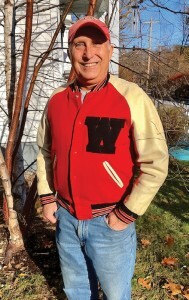 Though they’re still Maine residents, they now spend the winter months in Vero Beach, Fla.
Steve Peck ’74 decided to paint a moldy closet and found this letter jacket that he earned as a member of the diving team from 1971 to 1974. Although it was somewhat snug, he reports that he could still snap it up! 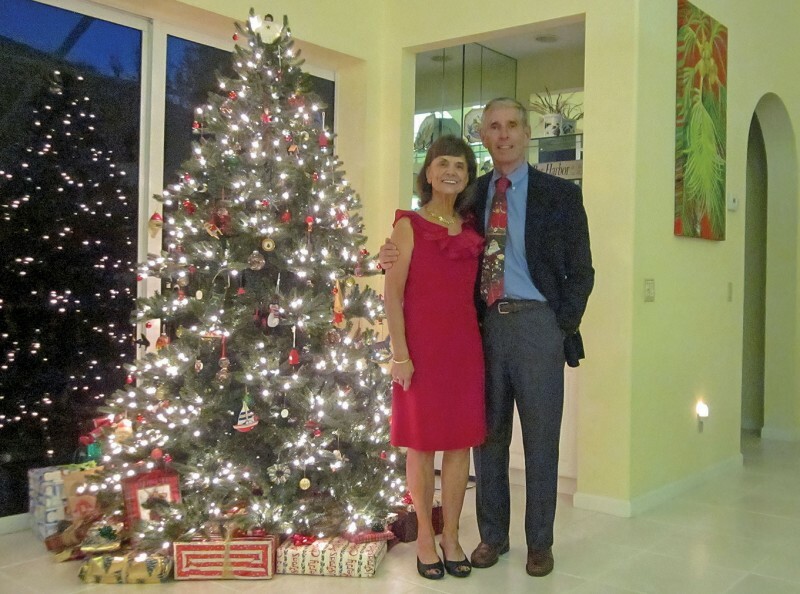 Steve and his wife, Candice Lengacher Peck ’74, are now living in Vermont. Go Bishops! 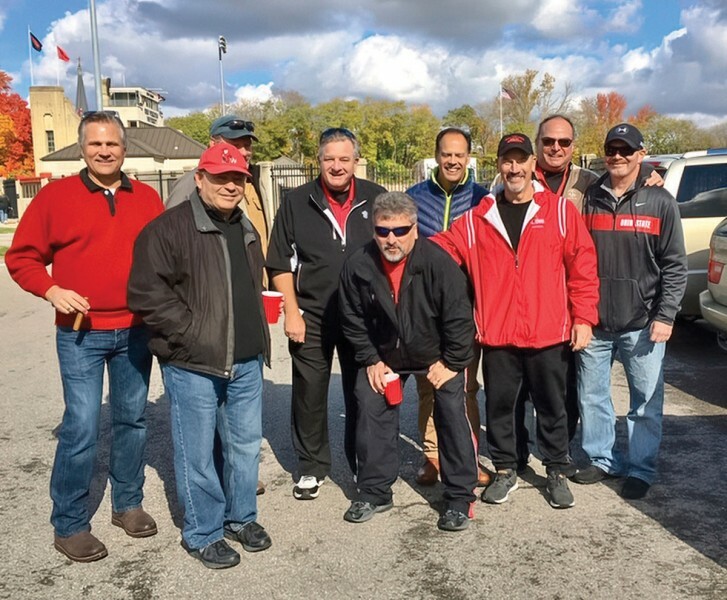 Alumni of the OWU football team gathered on campus at Selby Stadium last fall. From left: Charlie Smith ’80, Carl Caldwell ’79, Monte Magill ’83, Chip Holcomb ’82, Bo Bollenbacher ’81, Tony Martinez ’80, Gary Lofgren ’79, Bob Walick ’81, and Tommy Snyder ’79. 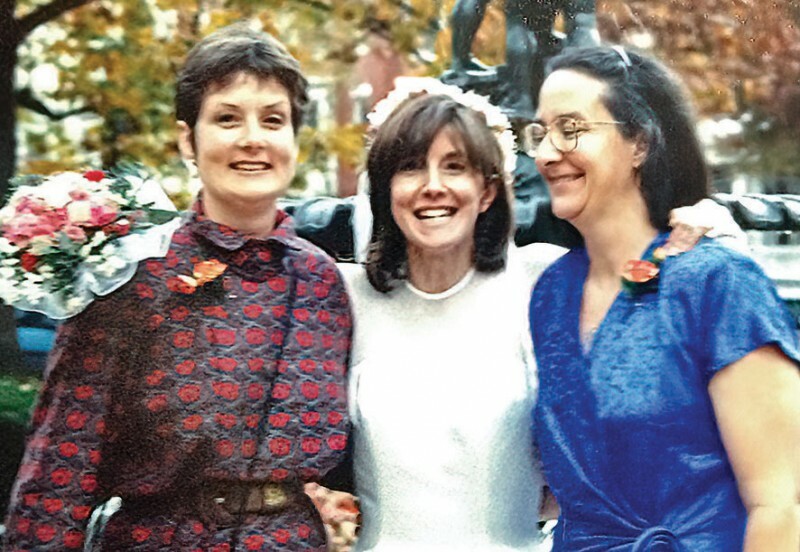 Seventeen years after graduation, on Oct.26, 1996, from left: Dorothy Geyer ’79, Annie Roetzel Hess ’79, and Leah Berg ’79 at Hess’ wedding. 2012 mini OWU reunion at Beans In the Belfry, Brunswick, Md. 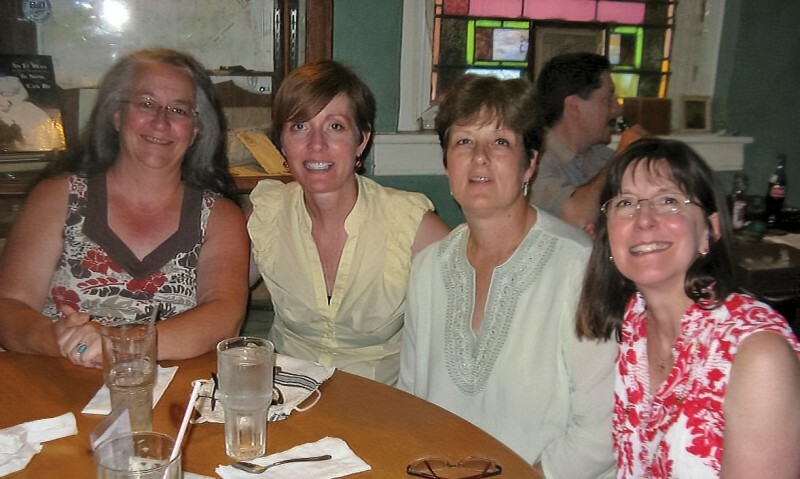 From left: Berg, JaneEllen McLaughlin Saums ’80, Geyer, and Hess. 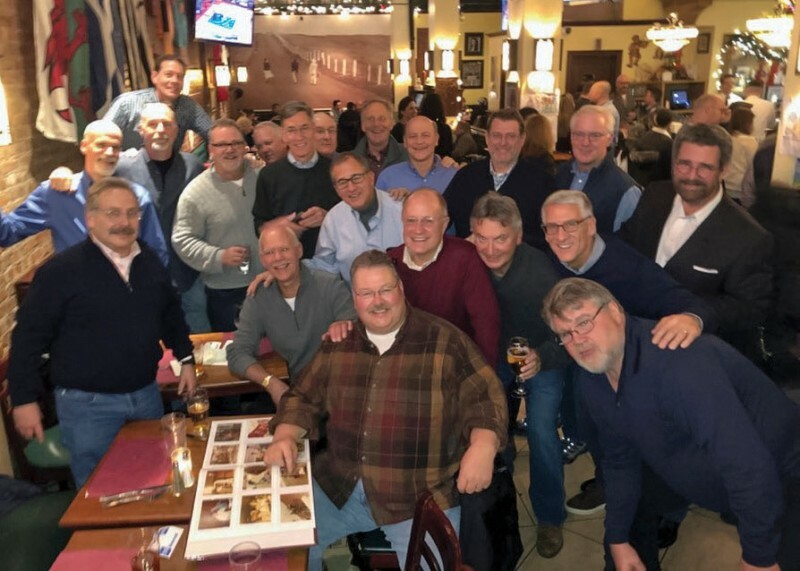 Phi Kappa Psi alumni got together (no reason, except they decided the time was right) on Dec. 7 at O’Lunney’s Times Square Pub in New York. Pictured from left: (front row) Matthew Schoengood ’78, Pete Kaestle ’77 (seated), John Green ’79 (seated), Jim Newman ’80, Les Kaciban ’80, Joe Angel ’79, Rob Shaw ’80, Mark Rodan ’80; (middle row) Tom Kane ’81, Clay Miles ’80, Jeff O’Sullivan ’81, John Whitaker ’81, Robert Fishman ’79, Sam Adams ’82; (back row) Steve Kjellman ’82 (standing on bench), Dave Griffin ’80, Tom Benton ’82, John Berger ’81, Scott Bedson ’81, and Doug Brown ’81. Not pictured: Tom Jolly ’77. Melissa Cruz ’04 and Jeff Donaldson ’04 were married in the fall of 2004. They taught in New York City for five years, earning their masters’ degrees in teaching. In 2012, Jeff was accepted to medical school, and they moved to Syracuse, N.Y. Their incredible daughter Sofia (5) was born in 2013. When Jeff joined the Cleveland Clinic in 2016, they moved to the wonderful town of Hudson, Ohio. 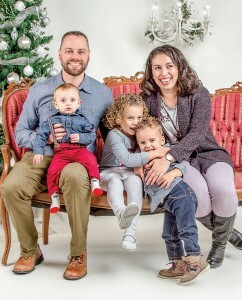 They were blessed by their sons Eli (2) in 2016 and Caleb (1) in 2018. While Jeff completes his radiology residency, Melissa stays home and takes care of their children. 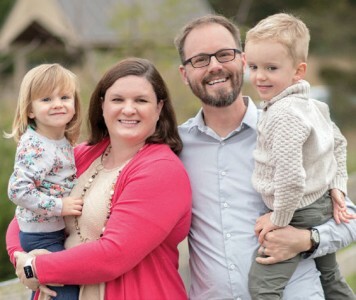 Claire Hogan Daubney ’99 lives in Powell, Ohio, with her husband Rich and their two children, Benjamin (4) and Lily (3). She is an elementary music teacher for Worthington City Schools and is fortunate to have been working at Bluffsview Elementary School for the past 12 years. Daubney also sings with Capriccio Columbus, a semi-professional community choir that maintains an active performance schedule throughout central Ohio. Several times since graduation, Capriccio Columbus has performed with the Central Ohio Symphony Orchestra, and Daubney has enjoyed her chances to visit OWU and sing in Gray Chapel again. 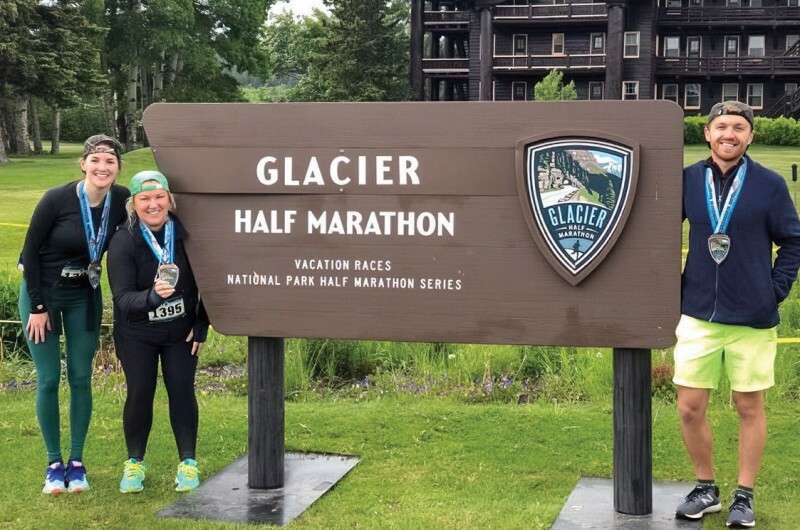 Jenna Narwicz ’08, Ruthie Goodell ’09, and Chaz Narwicz ’10 completed the Glacier Half Marathon in Montana last June. 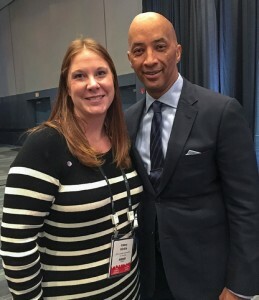 Casey Dobbins Hinkle ’04 met fellow alumnus Byron Pitts ’82 in November at the 2018 Housing Conference in Columbus, where the ABC newsman was the keynote speaker. Hinkle says Pitts was an incredible speaker who made her laugh, cry, and leave inspired. 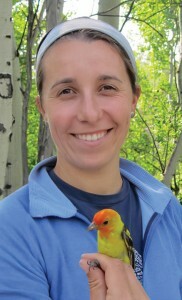 Lauren Smith ’09 worked as a field biologist (mainly with birds) and environmental educator after leaving OWU. In 2016, after deciding to focus on writing and science communication, she earned a M.Sc. in environmental studies with a focus on environmental writing at the University of Montana. Her essays have appeared in Alpinist and Entropy, among others, and links can be found at TalesFromAWanderingAlbatross.com. Currently, she is a knowledge translation associate at the Rural Institute for Inclusive Communities. She lives in Missoula, Mont., where she spends as much time as possible outside, mainly climbing on rocks and sharing unsolicited bird information. Emily Turner ’09 is living in Columbia, Tenn., with her husband, Dennis O’Brien, and their dog Marilyn. She works as an OBGyn at Maury Regional Medical Center and loves every minute! She completed her residency program in Cincinnati (where she met Dennis) in June 2017 and took a three-week tour of Europe to celebrate. 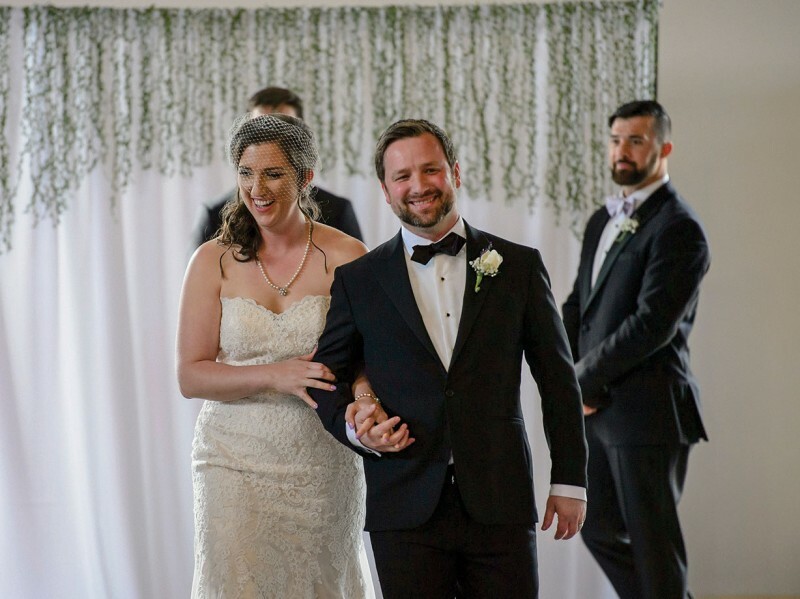 Married in April 2018, the couple loves their new small-town life in Tennessee. Four-year OWU roommates Sarah Murphey ’11 and Kristen Lear ’11 served as each other’s maid of honor in their recent weddings. 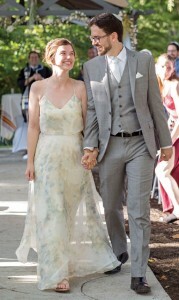 Murphey married Andrew Ring on June 30 in Mentor, Ohio, where they met at Mentor United Methodist Church. Lear married Tom Prebyl on Sept. 30 near Athens, Ga, where they met in graduate school at the University of Georgia. Pictured at Lear’s wedding are (from left): Meredith Palmer ’11, Lauren Snyder, the bride, Sarah Murphey ’11, and Rosie Korman. Pictured at Murphey’s wedding are (from left): Meredith Palmer ’11, Emma Hilliard ’11, Kristen Lear ’11, the bride, Maryann Penzvalto ’10, and Beth Robb ’11. 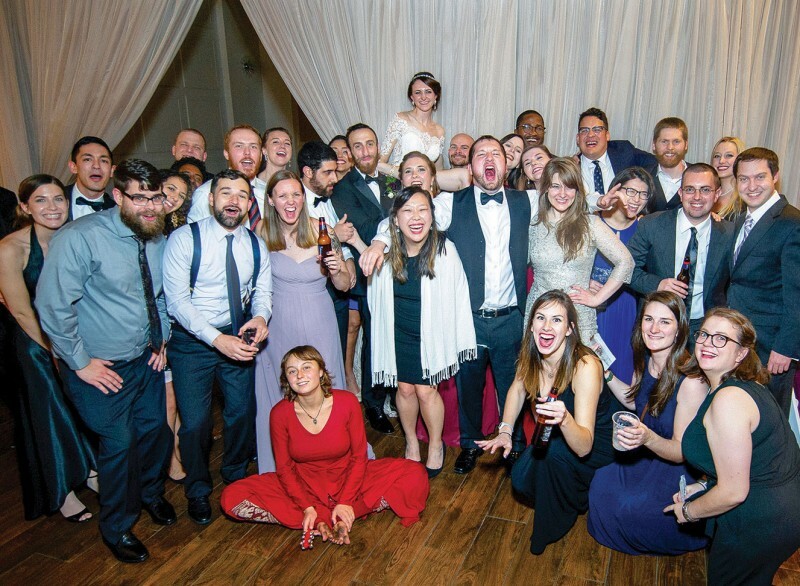 Erin Gregory ’14 and Matthew Wasserman ’14 were married in the company of many cherished OWU alumni on Dec. 1 in Warwick, R.I. Cheers to their OWU memories, and here’s to their future! Pictured from left: (front row) Adam Dettra ’13, Brian Williams ’15, Abby Bennett ’15, Michaela Kim ’14, Ben Veaner ’14, Morgan Treni ’12, Emily Scott ’16, Sarah Groendyk ’15, Gnora Gumanow ’14; (middle row) Elizabeth Parker ’14, Myriem Ibourk ’14, Ryan Klein ’14, A.J. Alonzo ’13, the groom, Gloria Clark Alonzo ’11, Lauren Foote ’14, Amy LeFebvre ’14, Madeline Miguel Dash ’14, Chris Williams ’12, Eric Charette ’12; (back) Yushan Hayman ’13, Dominic Strippoli ’12, Kelly Crunkilton ’12, Prabhjot Kaur Virk ’14, the bride, Oore Ladipo ’14, Jordan Grammer ’14, Derek Smith ’14, and Misa Farslow ’12. Not pictured: Priyanka Venkataraman ’14, Hannah Appelbaum ’14, Jon Rux ’12, Nicholas Oleski ’12, and T.J. Dasch ’14. Tamra Londot ’14 married Cameron Pappa ’16 on Aug. 14 in Utica, Ohio. OWU classmates, alumni, and coaches joined in the celebration. Londot played volleyball, basketball, and softball at OWU. Pappa played football. 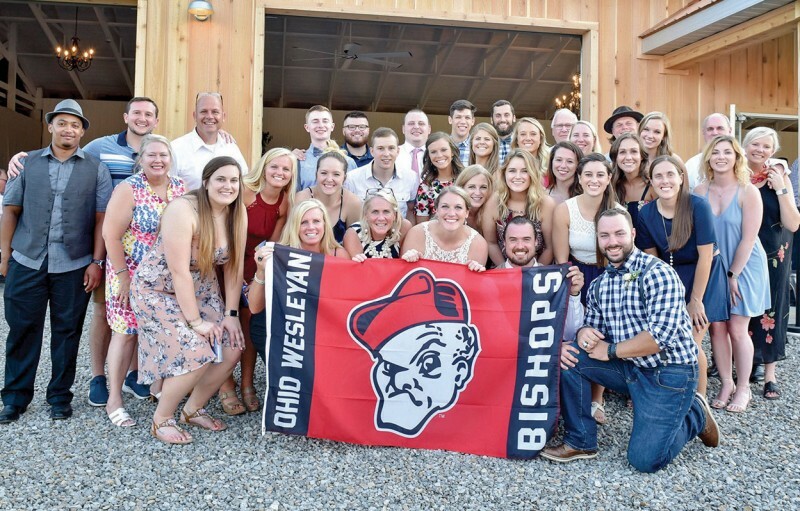 Pictured from left: (front row) Kristen Henning ’15, Stacey Lobdell (current OWU women’s basketball coach), Nan Carney-Debord (former women’s basketball coach), the bride and groom, Devon Fisher ’16; (middle row) Boo Kuchers (Athletes in Action leader), Sarah McQuade ’15, Katie Fain ’14, Tyler Jenkins ’16, Amanda Barker Richards ’13, Danielle Haley ’14, Chelsea Denman ’15, Rachael Carter ’16, Brooke Warner ’15, Morgan Hall ’13, Brooke Nethers ’13, Allisha Ferguson ’16; (back row) Sean Miliner ’15, David Males ’17, Matt Kuchers (Athletes in Action leader), Ben Pelkey ’16, Bryan Ansel ’16, Ryan Ehrhardt ’19, Chase Culbertson ’16, Erica Bryan ’14, Aaron Port ’16, Erika Reese ’13, Pat Huber ’62, Amanda Hatfield ’14, Jake Sanders ’17, Sarah Flint ’16, Roger Ingles (former OWU athletic director), and Jo Ingles (OWU newspaper advisor). 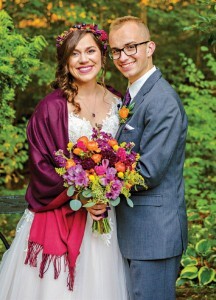 Ellen Graham Platt ’12 and Samuel Isaac Meisterman ’12 were married in Columbus on Sept. 2. Sara Scinto ’16 and Nathan Madonich ’16 were married on Oct. 13 in Kirtland, Ohio. Members of the wedding party included Courtney Austin ’16, Kevin Ford ’15, and Forest Dearing ’17. Also in attendance were Hannah Sampson ’15, Emma Sampson ’18, and John Sotos ’17. 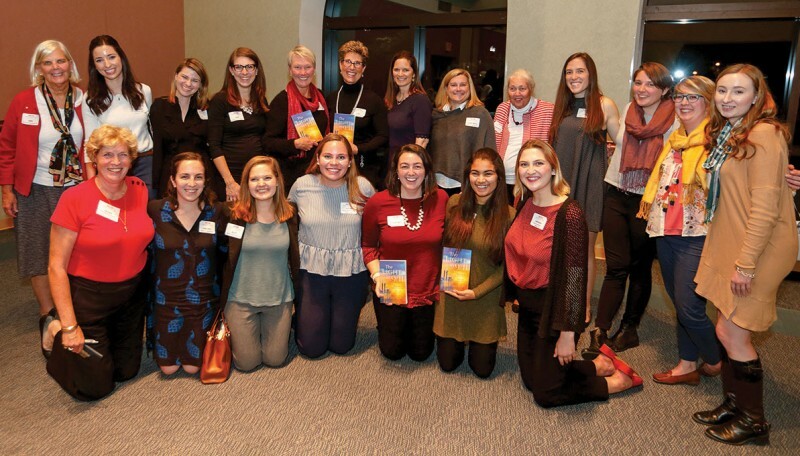 Alumnae and collegiate members of Kappa Alpha Theta welcomed author Lisa Lindeman Luckett P ’16/’20 to the Women of Wesleyan (WOW) Weekend in October as the keynote speaker. 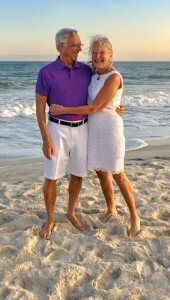 Lisa’s husband, Ted Luckett ’84, perished in the World Trade Center in New York on 9/11. Pictured from left: (back row) Ann Tarbutton Gerhart ’69, Haley Walls ’16, Elizabeth Long Downey ’06, Sam Wallace Sharpe ’09, Amy Eiken ’84, Lisa Lindeman Luckett, Gay Johnson Grossman ’88, Mary Beth Sommer ’88, Maribeth Amhrein Eiken Graham ’55, Lee LaBoeuf ’17, Kelsey Ullom ’14, Chelsea Leeds ’13, Skye Wanstrath ’16; (front row) Laurie McGregor Connor ’77, Rachel Vinciguerra ’14, Ally North ’13, Taylor Shinnaberry ’20, Courtney Dunne ’17, Rose Jonesco ’20, and Hannah Wargo ’19.